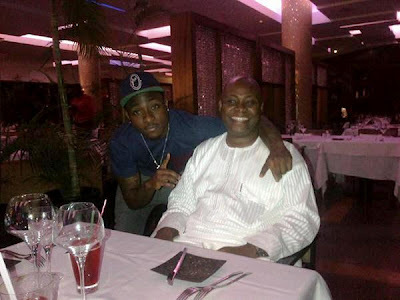 When popular billionaire businessman, Deji Adeleke’s son, David told his father a few years ago that he wanted to pursue a career in music, he was not in support of it. Why would David who had the whole world at his feet, box himself into music, wondered Deji Adeleke. Left to Adeleke, his son ought to have pursued academics aiming to be an Engineer, Accountant, Doctor or Lawyer. Deji Adeleke had every reason to think that way, because he is stupendously rich. He sits atop a business empire that is into Banking, Steel, Transportation, Power and Energy sectors. Deji Adeleke is the chairman of Keplo Pacific Energy Consortium that acquired the Olorunsogo Plant in Ogun State. He is the founder and pro-chancellor of the Adeleke University, Ede, Osun State. To get him possibly change his mind, Deji Adeleke began to cajole him on the need to pursue other careers. But much as he tried to convince him out of it, David refused to budge. Unknown to his father, the younger Adeleke had gone deep into music. And it was a big battle as David insisted that he would only pursue a music career and nothing else. Eventually, his father soft pedaled but with one proviso. He would only allow David pursue his music career while at the same time go to school. Today, the 20 year-old has not only become a music star, he is also doing his father’s wish. Davido is currently studying Business Administration at the Babcock University, Ilishan Remo, Ogun State. 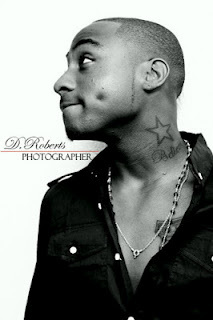 And today, David Adeleke popularly known as Davido, is known for his hit songs;” Back When” and “Dami Duro. The talented singer has hit it big in the Entertainment industry, the labor of his hard work is paying off for him as he just acquired a property worth millions of naira. 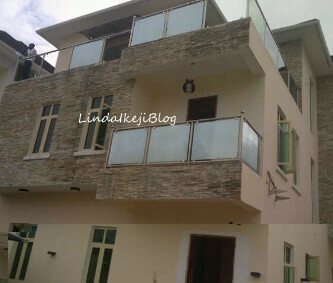 The mansion located in Lekki is said to have cost him N140 million and is indeed a big one that attracts any one that passes by there. Though the handsome dude has not moved into the house, we can authoritatively tell you that everything is set.